Adrafinil is a drug that makes users feel awake and alert. It is a popular stimulant because it has few side effects and does not require a prescription in many countries. Continue reading to discover the uses of adrafinil and how it works. Disclaimer: By writing this post, we are not recommending this drug. Some of our readers who were already taking the drug requested that we commission a post on it, and we are simply providing information that is available in the clinical and scientific literature. Please discuss your medications with your doctor. Adrafinil is a synthetic nootropic drug that promotes long-lasting mental arousal. Adrafinil is a non-amphetamine psychostimulant. It reduces drowsiness but does not increase heart rate or anxiety [R]. As a prodrug (an inactive drug that breaks down to the active drug) for the prescription stimulant modafinil, adrafinil becomes active by converting to modafinil in the body. Adrafinil’s effects and mechanisms are thus identical to modafinil’s [R]. Adrafinil was designed to treat narcolepsy and attention disorders in the elderly. It was sold in France under the name Olmifon but was discontinued in 2011. Adrafinil was discontinued because it was less potent than modafinil and required higher doses to achieve a similar effect [R]. The United States, Canada, and the UK consider adrafinil a dietary supplement rather than a prescription drug. The World Anti-Doping Agency banned adrafinil as a performance-enhancing substance [R]. Adrafinil is unscheduled in the United States, Canada, and the UK. This means it is neither approved nor controlled and does not require a prescription. However, adrafinil requires a prescription in Australia and Germany. Adrafinil is inactive in its initial form. It becomes active by converting to modafinil in the liver [R]. Only a small amount of adrafinil converts to modafinil, with the majority becoming inactive. Thus, greater amounts of adrafinil than modafinil are required to achieve a similar effect [R]. Adrafinil has a short biological half-life (the time it takes a substance to lose half of its biological activity) of 1 hour. It converts to modafinil, which has a 12 to 15-hour half-life. This means that the user will feel effects many hours after consumption [R]. In a study (randomized controlled trial) of 10 elderly patients, peak blood levels of adrafinil occurred 1 hour after consumption. Peak brain and behavioral effects occurred 2 hours after consumption [R]. Increasing dopamine [R, R, R, R, R, R, R, R]. Increasing serotonin [R, R, R, R, R]. Increasing norepinephrine [R, R, R]. Increasing histamine release via orexin [R, R, R, R, R]. Increasing glutamate and decreasing GABA [R, R, R, R, R, R]. Because adrafinil becomes active by converting to modafinil, both drugs have similar effects. The following studies highlight the research conducted on adrafinil. Adrafinil improved slow thought and movement (psychomotor impairment) compared to an antidepressant (clomipramine) in a study of 70 depressed older adults [R]. 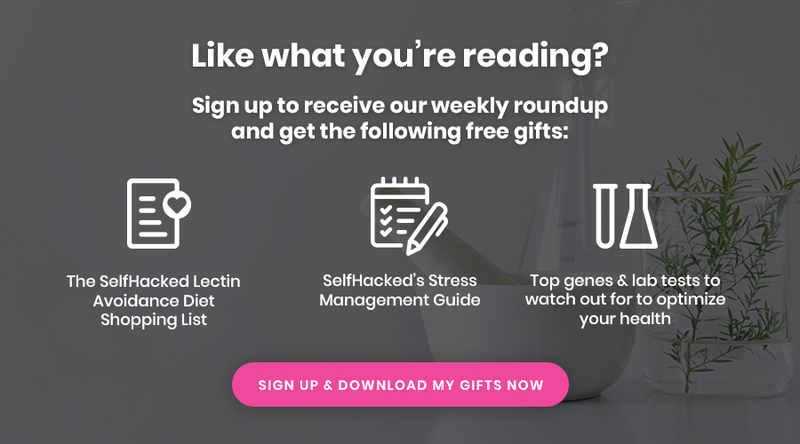 Adrafinil increased participants’ ability to perform daily activities in a study (randomized controlled trial) of 548 older adults with attention and memory problems [R]. In multiple studies of 744 older adults (including 2 double-blind randomized controlled trials and 1 randomized controlled trial), adrafinil increased attention, concentration, and vigilance [R]. In a study (randomized controlled trial) of 10 elderly adults, adrafinil decreased brain waves associated with sleep (slow wave delta and theta wavelengths and increased brain waves associated with engagement in the present (alpha wavelengths) [R, R]. In multiple studies (including 1 double-blind randomized controlled trial) of 471 adults, adrafinil lowered symptoms of depression [R]. Adrafinil reduced symptoms of depression similar to an antidepressant (clomipramine) in a study of 70 depressed patients. The group receiving clomipramine reported frequent side effects, but adrafinil was well-tolerated [R]. In studies of 951 older adults (including 1 double-blind randomized controlled trial and 1 randomized controlled trial), adrafinil reduced forgetfulness, and improved information recalls [R]. In a study (double-blind randomized controlled study) of 48 elderly adults with attention and processing speed problems, adrafinil reduced reaction time on a psychological test [R]. In aged beagle dogs (a model of human aging and cognitive decline), adrafinil improved performance and speed of learning on a pattern recognition task [R, R]. However, the same dose of adrafinil also lowered working memory (the ability to recall and apply relevant information during an activity) in aged beagle dogs [R]. Adrafinil increases movement and exploratory behavior in mice, rats, monkeys, and dogs. The higher the dose of adrafinil, the more active the animals became [R, R, R, R]. Many stimulants produce frequent side effects including appetite loss, sleep problems, and mood disturbances. They can also be addictive [R, R]. Appetite loss, sleep problems, and mood disturbances are rarely reported with adrafinil use in human and animal studies [R, R, R]. Modafinil, the active product of adrafinil, was taken for 3 years without causing tolerance or dependence in a study of 42 participants with excessive sleepiness and narcolepsy [R]. Adrafinil is well-tolerated in most studies. A small number of participants have noted increased stress and aggression, nausea, irregular heartbeat, mouth dryness, stomach pain, and skin irritation [R, R]. One participant developed abnormal facial movements after taking 900 mg/day of adrafinil for 10 months. This symptom did not improve after 4 months off adrafinil but subsided after dopamine-lowering medication [R]. Because adrafinil converts to modafinil in the liver, there is concern that it can elevate liver enzymes or cause liver damage. Human research does not support this claim, although there are few clinical studies of adrafinil [R]. Adrafinil increased blood pressure in a case study of a 63-year-old woman on blood pressure medication (aliskiren and piretanide) [R]. No other drug interactions are reported in the literature. Modafinil, the active byproduct of adrafinil, increases cytochrome P450 liver enzyme activity (CYP1A2, CYP2B6, and CYP3A4/5) in cell-based studies. It also lowers CYP2C19 activity [R]. Only a small amount of adrafinil converts to modafinil, with the majority becoming inactive. Thus, adrafinil requires greater amounts than modafinil to achieve a similar effect. Adrafinil comes in powder or tablets. The standard recommended dose is 600 to 1,200 mg. This was the suggested dose for the prescription drug Olmifon (300 mg adrafinil per tablet) to treat narcolepsy when it was available [R, R]. Research on adrafinil is limited; most has instead focused on modafinil. This is because modafinil is more potent and requires a lower dose to cause an effect. Most of the human studies on adrafinil were conducted in elderly patients in France in the late 1980s and early 1990s. These results were published in French scientific journals, and are not available online. They are summarized in a 1999 review article, which is cited in this post wherever references to those studies are made [R]. Most users report improved attention, cognitive function, and mood with minimal to no side effects. Yet, like most drugs, not all experiences are the same. One user took 50 mg of adrafinil for the first time and felt increased awareness, optimism, and ability to think and concentrate after 90 minutes. This user had a normal heartbeat and no anxiety, which was different than their prior experiences with amphetamines. They continued to feel the full effects of adrafinil 6 hours after consumption and did not note a crash like they previously had while using an amphetamine. Another user took adrafinil once every few weeks, or whenever they needed to work long hours. They took 300 mg in the early morning, and felt alert and focused at 7 or 8 pm that night. No side effects were reported. After experimenting multiple times with doses between 300 to 900 mg of adrafinil, another user found the drug not very effective. They only experienced stimulation for a few hours rather than all day, as opposed to other users. The user also reported feeling tired as the drug wore off. Matt is a PhD candidate at The University of Texas at Austin and has a MS from The University of Texas at Austin. As a scientist, Matt believes his job is not only to produce knowledge, but to share it with a wide audience. 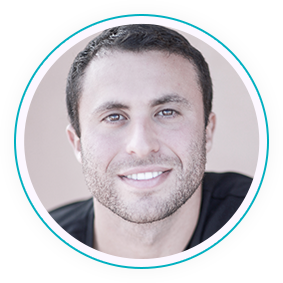 He has experience in nutritional counseling, personal training, and health promotion. Admittedly, I wasn’t committed to a proper hydration protocol at the time, but I got terrible headaches on a dosage of about 300 milligrams. Muddy, you are very wise to take lower dose than what Internet recommends. everyone has his/her own tolerance levels. even this literature recommended 900 mgs…waaay to high!! I weigh 200 lbs also, and I used to take about 300mg in the morning on days that I will need some extra help or if I had less sleep than normal the previous night. Everyone is REALLY different. It worked pretty well for me at that dose, although it is NOT my first choice for cognitive boost. I now use FLmodafinil instead of Adrafanil for the days when I am really off from not sleeping the night before. I think there are better and less expensive products for regular use, but I really like the Modafinil compounds for the days I am really tired because it doesn’t make me feel “strung out” or over-stimulated and “tired-wired” like some of my other brain boosters.